How sweet is this collection of stuffed animals, featuring an adorable teddy bear in denim overalls clutching his toy panda bear. 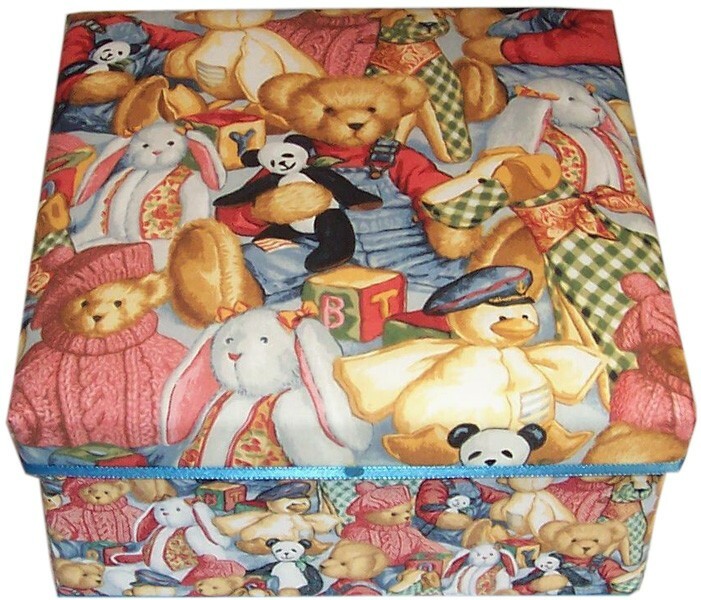 Ducks,gingham-checkered dogs, bunnies and a teddy in sweater and tam o'shanter surround our little guy on the top of this gift box. Decal of playmates on blue background inside; thin blue ribbon goes around the lip of the lid. 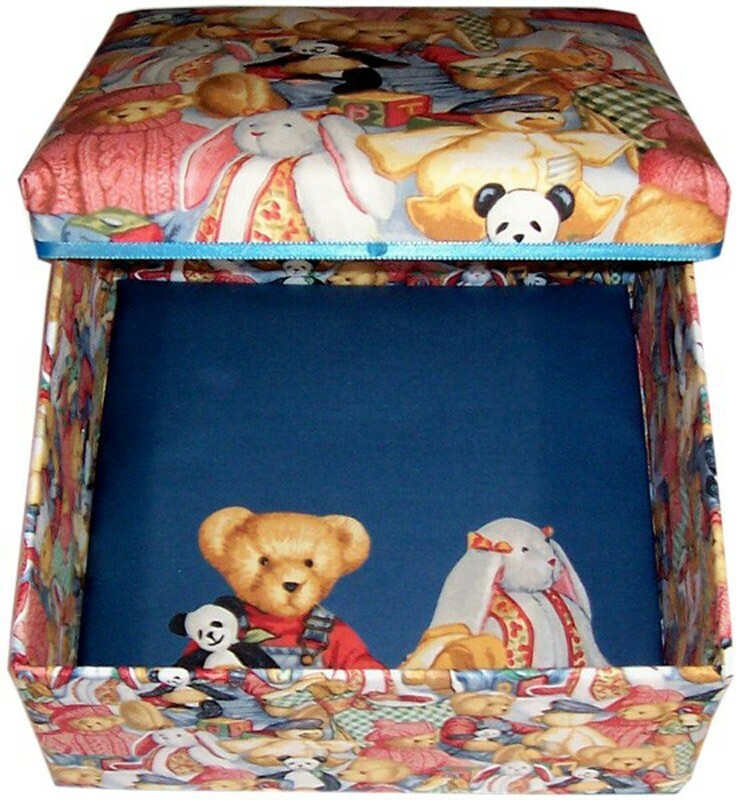 Terrific as a memory or gift box for parents, or a treasure chest for the child. Comes in one size only - 9" x 9" x 4.5". Delightful and unique gift for a baby shower or to welcome a new child. Can be put to practical use (like storing pacifiers and other small objects for the baby) or as a memory box for parent to hold pictures, cards, that first lock of hair and many little treasures!